If you like frustration free installation then the Triumph® LXConvertible Car Seat is going to be a great fit for you! This car seat is so user friendly that anyone should be able to use it just by looking at the car seat and following the instructions on the car seat. My favorite feature is the TensionRight™ side knobs for one hand harness tightening. This feature is awesome! I am not sure why other car seats don’t have this. I can get such a tighter fit harness with this feature and my son doesn't notice I am tightening it and try to wiggle out. I like that the fabric is easy to wipe down and also can be removed for washing. The design is nice too. My son is really comfortable in this car seat and I think it has to do with it being so wide. The only problem with a wide seat would be if you need to fit three car seats across however we only have two and there is still plenty of room in our car. We did have to put this car seat in the center for it to fit rear facing in our car in our van this was not an issue. The Infinite Slide™ Harness easily slides for an accurate fit every time and since we have had this car seat for a while (2 months) this has come in handy. I love this feature and feel like my son gets the best fit every time we go somewhere. 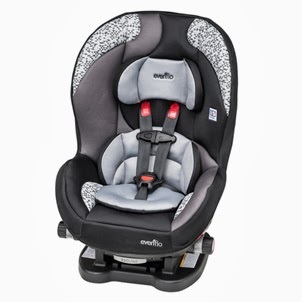 The Triumph® LX Convertible Car Seat can seat a child up to 65lbs so you will get great use out of this seat and only need a booster after they outgrow this seat. I honestly feel like the Triumph® LX Convertible Car Seat has amazing features for a very affordable price. 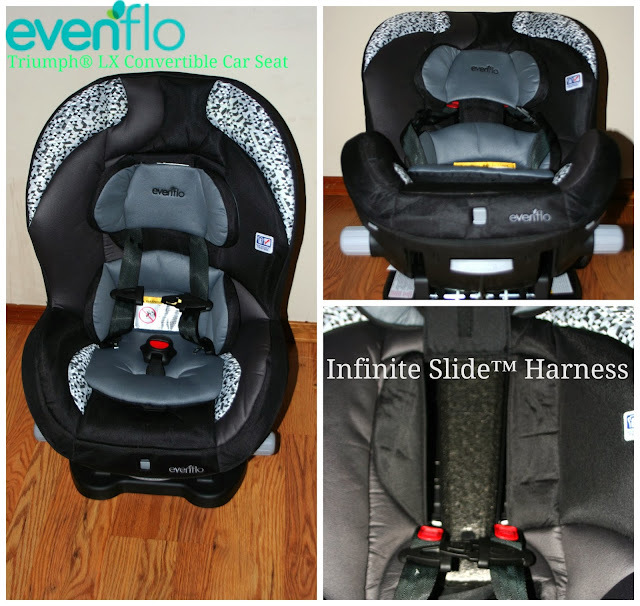 I would highly recommend this car seat for the next stage after the infant car seat or if you are on a real tight budget start with this car seat as it is suitable for a 5lbs baby ! 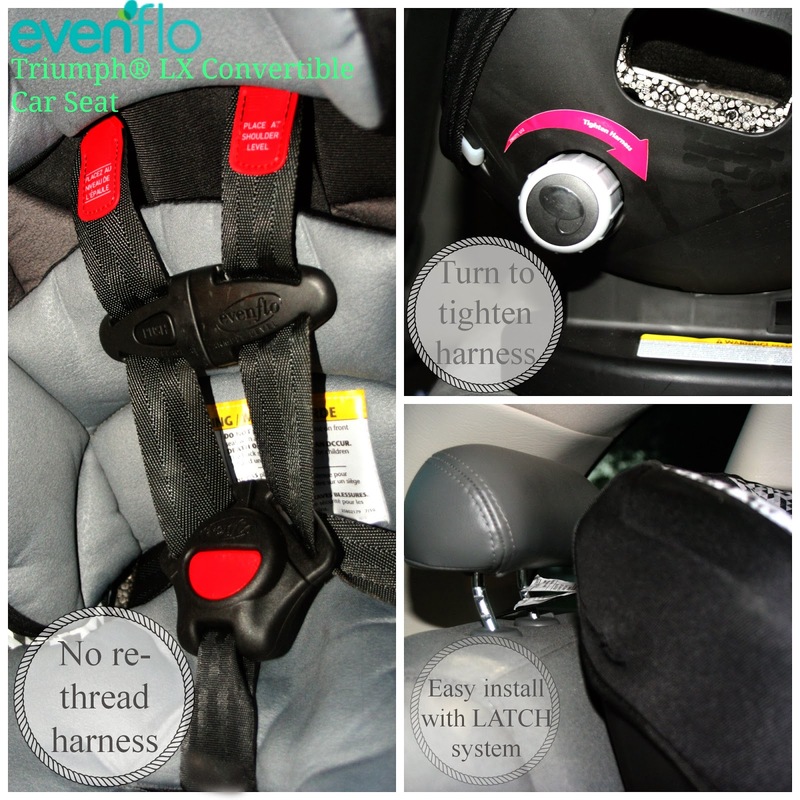 Connect with Evenflo on Facebook, Twitter and you can purchase the Triumph® LX Convertible Car Seat at Amazon and Wal-Mart! 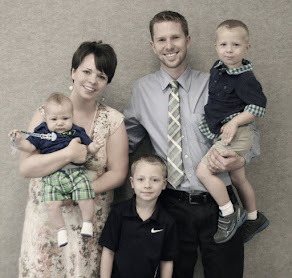 Disclosure: The opinions expressed in this review are those of Whitney from Rambles of a SAHM. 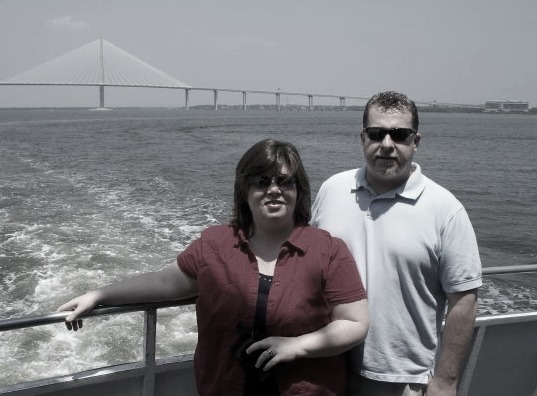 A book was provided free of cost in order to facilitate this review. This post contains affiliate links. Disclosure of Material Connection: I received one or more of the products or Services mentioned above for free in the hope that I would mention it on my blog. Regardless, I only recommend products or services I use personally and believe will be good for my readers. I am disclosing this in accordance with the Federal Trade Commission’s 16 CFR, Part 255: “Guides concerning the Use of Endorsements and Testimonials in Advertising"
That has a lot of nice features, I agree with you on the Tension Knob, it looks so much easier to tighten, I need to upgrade to the next size up, with one of little guys just reaching the 30lb mark. With heavy coats out of the closet now, we have to do a bit of adjusting. Thank You for review.